Peak Performance Speaker and Business Coach Arman Sadeghi discusses the importance of knowing the exact business you’re in. You need to know the exact business that you are in and who your ideal client is. You also will learn how to determine the broad business that you are in so you don’t end up getting “Blockbustered”. 7- STOP Labeling Our Children with Made-Up Learning Disabilities! 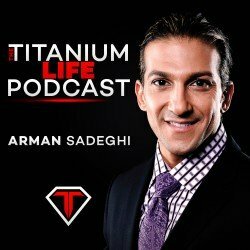 Peak Performance Speaker and Business Coach Arman Sadeghi discusses the importance of having a POWERFUL morning and doing the things that the 99% aren’t willing to do. If you want to live life to the fullest and get everything out of life, you’ll need to take massive action. If you want your life to get better, you must take different actions. You need to make a decision now and change the way you are doing things. Invest in the future and make the next five years of your life better than the last five years.